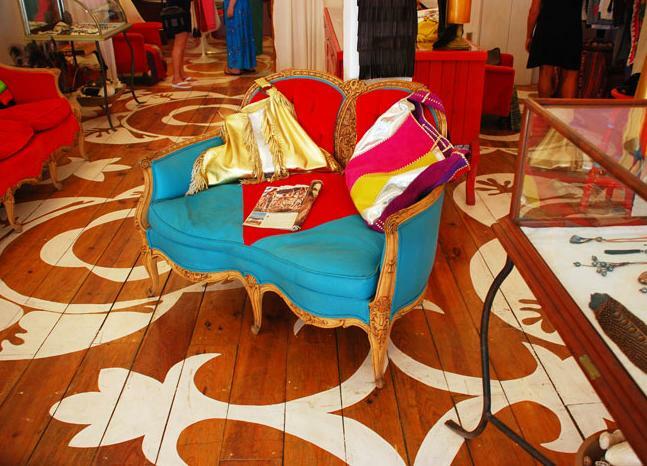 The Hardwood Floor of the Week comes from a hip surfer boutique in Sayulita, Mexico called Pacha Mama. The floor came to my attention from a blog post at desiretoinspire.net (Thanks Kim!). Hard to tell from the photos but it looks to be a wide plank Honduran Pine that is topped with a fantastic design in white. I like how the wood floor itself slinks into the background a bit but still remains a solid aesthetic prominence.